Ready to lose money during "product transition"
HTC is pinning its hopes on handsets it plans to launch at MWC 2012 predicting an early revenue drop while it waits for new devices to hit the market. The announcement came direct from HTC who said: "Despite short-term difficulties, momentum will resume in the upcoming product cycle driven by HTC's brand strength, innovation, and design/engineering capabilities". HTC is expecting to see revenue fall as much as 36 per cent in Q1 of 2012, due to what it is calling "product transition". The drop in revenue equates to a loss of around £1.4 billion in earnings so HTC will be hoping its new range of handsets will cut the mustard with consumers. HTC is set to announce several new phones in Barcelona at the end of the February such as the dual-core Ville and the quad-core beast which is the Edge. To keep up with the likes of Samsung, the next range of HTC phones will have to have the same impact as the the Desire and Sensation had when released - which is a pretty big task. We're looking forward to what Sense 4.0 is going to bring, though. 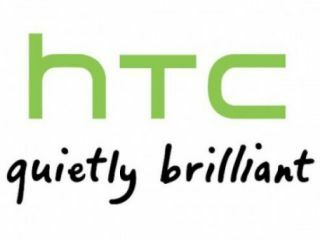 Do you think HTC's new range will see it keep pace with Apple and Samsung or is it set to slip away in 2012? Let us know in the comment box below.